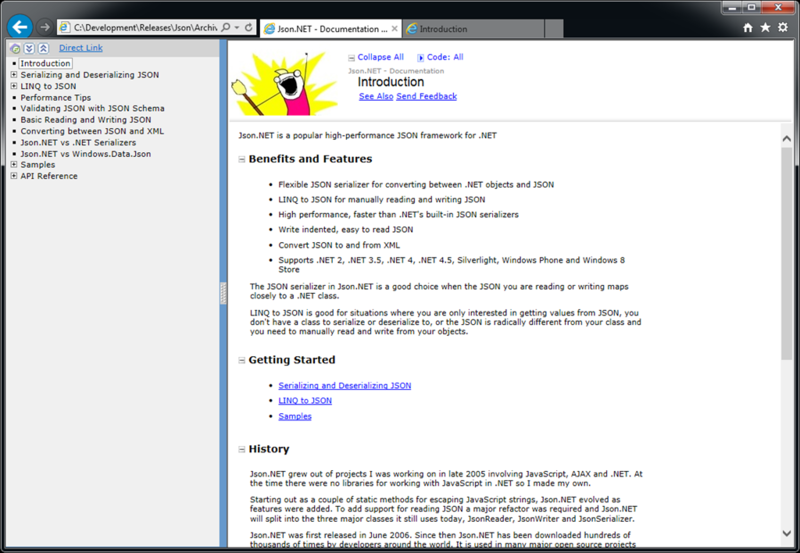 It has been a couple of years since the docs were properly updated. New features added since then like extension data, annotations and JSONPath now have documentation and code samples. The new code samples brings the total up to 116! Finally the documentation has been professionally proofread. My most embarrassing grammatical errors have been fixed. 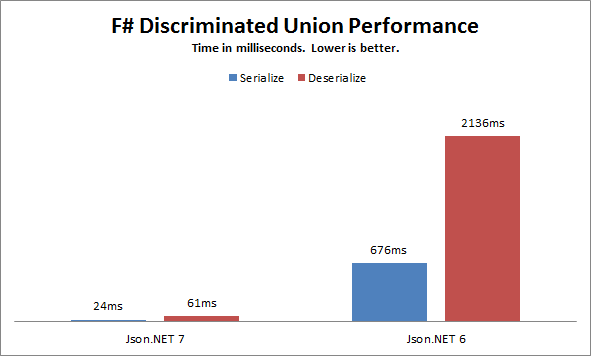 Json.NET’s F# discriminated union support has been rewritten. Serializing very large collections of large discriminated unions was noticeably slow. The new implementation caches reflection and type data, and significantly improves performance. That’s a 3200% improvement. 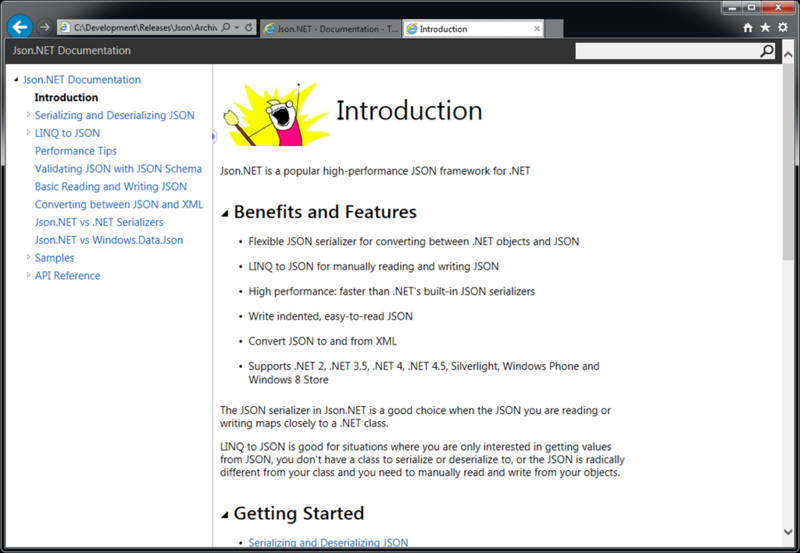 If you’re using F# then you don’t need to do anything other than update Json.NET. 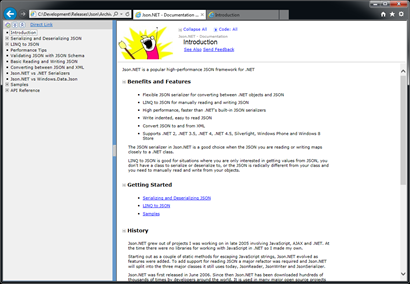 Json.NET 7.0 includes 30 changes from 6 months of user feature requests and bug reports. 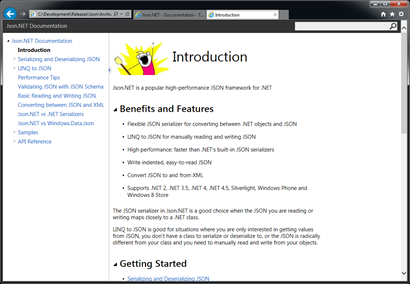 Here is a complete list of what has changed since Json.NET 6.0 Release 8.